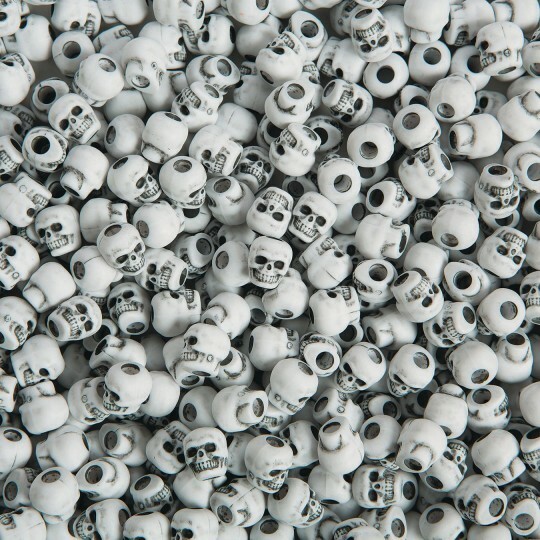 White plastic bead is replica of a human skull, antiqued to enhance every creepy detail. 10mm bead with 4mm hole. 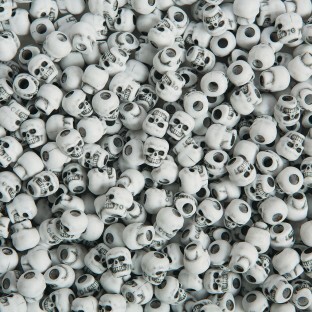 1/2-lb pack contains approximately 450 beads. Perfect for project. Excellent quality. I like the product and sells well. Great to use with 550 para cord!